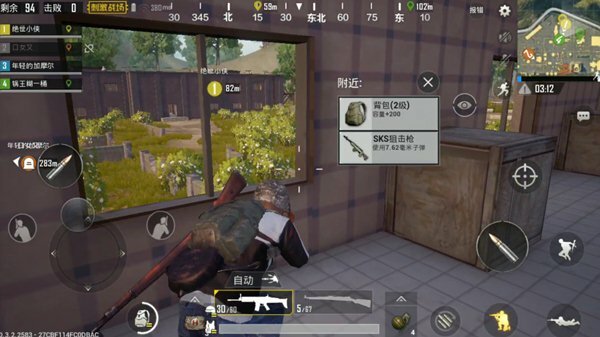 In the PUBG Mobile stimulating battlefield, all of our early supplies and weapons were inseparable from the housing area. 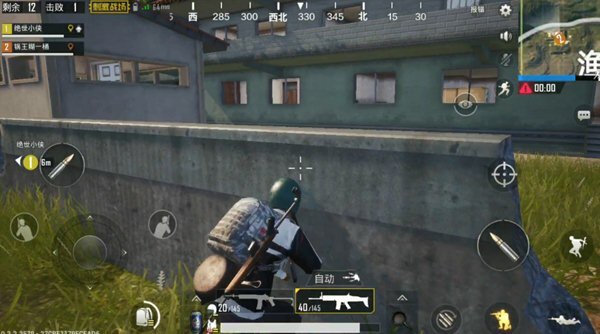 When people are familiar with the game for a while and start to use it, they will choose to develop directly in the densely populated areas of major cities and housing areas, and the more densely populated areas will have more natural enemies, and the number of frontal gunfire operations will also become More. So how do we go out in this crisis-ridden area and get sufficient supplies at the same time and reach the finals? Let’s talk about the two offensive and defensive styles in the housing area. Eliminating the conditions for different weapons, as long as you have a submachine gun or a series of rifles in your hand. When you are in a house, you must first use the footsteps to determine the location of the enemy. Therefore, headphones are also essential game equipment. If it is judged that the opponent is attacking himself, he needs a speed to make a card position. If the player does not pass the card position, he must preview the necessary position of the enemy in advance, but it will be easily discovered by the offensive opponent in advance. In addition, because the opponent is moving into the field of vision, advance preview needs to quickly drag the shot, so it is also not dominant in the gun. What should I do now? We must first take advantage of the blind spot. As shown in Figure 1, the crucible is at 90 degrees to the straight line of the channel. At this moment, the opponent cannot directly see you in the moment of opening the door. If you want to hit you, the opponent still needs to slide the screen to change the vision. 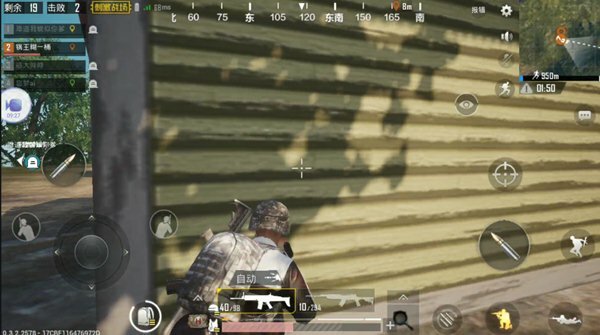 As we all know, the mobile phone operation requires more reaction and aiming time after sliding the screen to aim at the enemy. At this point, before the opponent made a response, we already had the chance to shoot and take the lead. In addition, it is necessary to pay attention to the position when the card window looks outside. To ensure that people outside can not see you, but you can see him just fine. as shown in picture 2. In addition to passively defending opponents’ offense, We also need certain offensive measures. There is no “offensive is the best defense” of this statement. How do we attack when we know that someone has a house? First of all, we must know if people in the house will or have already run out. Then we need a good card. The best card position is shown in the figure below, outside the house. This position can first observe whether the opponent will jump out of the window, to avoid being turned over by the opponent, and come 90 degrees right angle, unless the two directions come, or we can all use this corner to avoid bullets. Stay in this position and not enter the house first. Even if you want to enter it is not recommended to open the door into the house, it is recommended to enter the window. Because people on the doorstep can hear the sound. But we can use this mechanism to confuse our enemies. Open the door and don’t enter, then quickly circling around the house so that the opponent doesn’t know if you are coming in or not. Which direction is it? At this point as long as their own hand speed, dare to jump the window of the house is basically a dead one. 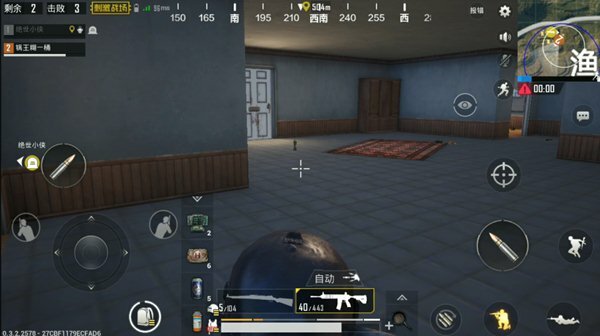 After determining that the enemy will not come down, after winding around the house to a certain extent, you can quickly rush into the house and go straight upstairs on the second floor. Because the opponent is confused by the footsteps outside your house, it is easy to get stunned by the unpredictable steps. Many times as long as this trick is used, look up, custody opponents are looking at the window downstairs. Of course, there may also be high play, fearlessness, real-time check room movements. This situation can easily be beaten if you rashly go up. So it’s very useful to pick up a few grenades when collecting supplies. Unless you are a beginner, generally you hear the voice of a grenade, and most of the games will go through the window. So take two grenades and throw them in to wind around the house. You may also encounter a situation where you’re experiencing “half-falling blood”. Then it’s time for you to receive delivery! Although shooting is also very important, but the rational use of game mechanics and psychological tactics can also greatly improve chicken consumption rate, which depends on how players use.